To succeed and grow, multi-unit franchisees must learn to overcome competition, rising costs, changing consumer tastes, the unpredictability of social media, and legislative and regulatory threats--at the same time they're busy hiring and training employees, updating menus, remodeling stores, and dealing with insurance, taxes, and suppliers. Multi-brand franchisees have the additional challenges of dealing with disparate systems, geographically dispersed locations, and different state and municipal laws and regulations. But as this issue's interviews with multi-unit/multi-brand operators show once again, what it takes to succeed is a unique combination of passion, perseverance, and genuine concern for others. Despite all these barriers, there are many benefits to multi-brand franchising. Financially, diversifying into different concepts spreads the risk by allowing operators to hedge their bet on any one brand. Personally, offering a variety products and services and working with different kinds of people provides a sense of motivation and continual learning. Add to that the cross-pollination of best practices from different brands, as well as cross-training of employees and managers to help with retention by providing a career path. Our six profiles include a mix of small and large franchisees, whose stories are united by their passion for great products and concepts, a focus on customers, an eagerness to provide jobs and advancement to their employees, and their burning desire to grow their business. 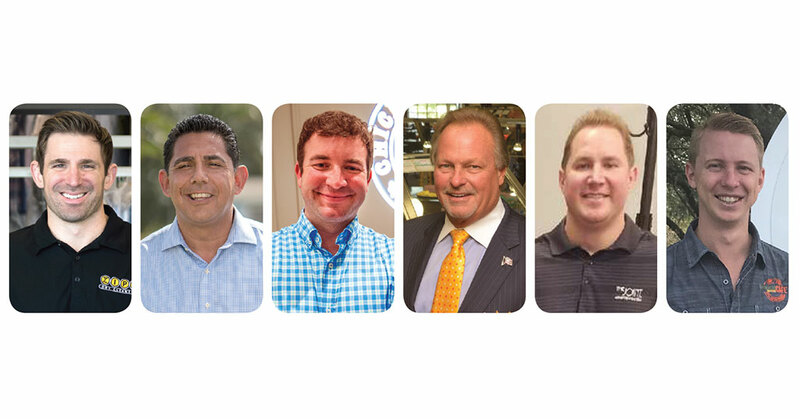 Joe Bernatowicz is the operating partner of two companies: So Cal PF which has 11 Planet Fitness gyms; and ZDRY LLC, whose partners own two ZIPS Dry Cleaners--and have signed an ambitious deal to develop 108 more stores over the next 15 years. "Our expansion plans are focused on Southern California for both models," says Bernatowicz. "The ZIPS model was appealing because of the disruptive price point in an antiquated and very segmented industry." Angelo Freites, founder and CEO of JAF Restaurant Group, operates 15 Checkers. "I told my wife that I was only going to do two Checkers. She said, 'No you're not, that's just not in your system.' And you know what? She was right. Here I am a little over 2 years later with 15 restaurants." Freites, who sold his stake as franchisee, president, and COO for 138 Wendy's to pursue his latest venture, has plenty to keep him busy. In December he signed an area development agreement for 10 Del Tacos to introduce the brand to the West Palm Beach market. Jake Alleman's first job was as a busboy at the first Another Broken Egg Cafe in Mandeville, La., nearly 20 years ago. In 2007, at age 25, he and his partner became the first franchisees to sign with the brand. Today their company owns and operates 13 of the brand's cafes, stretching east from Louisiana to Winter Park, Fla., with plans to add five more in the next 3 years. They also have 1 Chicken Salad Chick. He says those early years taught him the value of managing growth by staying ahead of the expansion curve, instead of putting out fires caused by expanding too rapidly. Eric Holm, our "Reconnect" profile, has graced the pages of this magazine before. We first profiled him in 2013, and again in 2015 when he was recognized with our 2015 Noble Cause MVP Award. 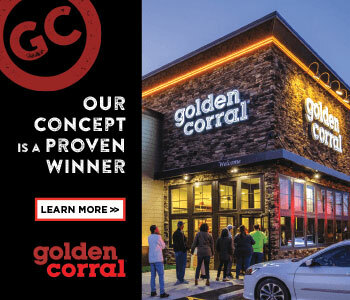 Holm has built a $165 million empire, garnered numerous awards, and is Golden Corral's highest-volume operator. But it's perhaps his early experience with poverty and his compassion and response to those in need today that he is most proud of. "I've been broke before in my life and it was no fun," says the 62-year-old. "But I'm proof that you can work your way out of it and have a better life, and that sometimes it helps to have a little help along the way." Rob Quinn, our "Athlete" profile, is comfortable wearing many hats--and gloves. The former MLB player could snag balls at first and third base, in the outfield, could take pitches as a catcher, and hold his own with a bat as a designated hitter. His all-around versatility has come in handy in his post-baseball career, where he is now a multi-unit franchisee and regional developer with The Joint Chiropractic. Andrew Howell, our "Under 30" profile, has been in franchising for just 4 years but is making big waves in Florida with his growing chain of Tropical Smoothie Cafes. Within six months of opening his first store, it jumped to the number-one sales performer in the Orlando market, a position it has maintained. He's now grown to four units in the area with a fifth on the way, and he has aspirations for many more. In this, our annual Multi-Brand 50 issue, we've teamed up with FRANdata to provide some great data on multi-brand franchising. Turn to page 48 to see the rankings of the country's largest multi-brand operators, along with the brands they've chosen.